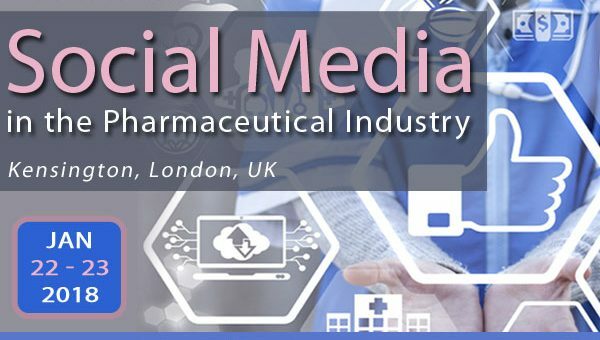 Social Media in the Pharmaceutical Industry conference will be bringing a global presence from GSK, Pfizer, IBM, Janssen, Roche Diabetes Care, Bristol-Myers Squibb, MSD, ABPI, and more. With an agenda full of exciting and new approaches for communicating with patients online, dive deep into topics surrounding social listening, interactions and engagement, writing effective content and tracking ROI from social media. Tughan’s session will focus on how to create high quality engaging content despite some shifts towards influencer marketing, as content is still key to engineering a successful social media strategy. Posting valuable content is key as your audience would like to hear the current trends in the industry which can be done by providing free reports, whitepapers, articles, vlogs and more. Moreover, the shifts and patterns to how social media has evolved by knowing which activities work well and doing this on a regular basis, all in order for your company to be a ‘leader’ in their minds. Tools used to gather the data through customer insights is a popular method used in today’s marketing. One popular social platform is LinkedIn, who are leading in providing leads for businesses around the globe through various sponsored content and PPC campaigns. It can be difficult to gain patient engagement on social platforms, even if the brand has a solid following. Being able to deliver marketing messages in whichever format your customer wishes to consume them, will result in higher engagement and advocacy. Those who give consumers the choice will win the race in this new transparent environment. Janssen will explain what steps should be taken in order to build a compliant social media strategy which delivers real commercial results. On top of this, Aslihan will explore the pitfalls and lessons learned, with examples to enable your organisation to stay relevant in today’s increasingly changing technological and regulatory environment. The interactive half-day post-conference workshop, presented by LucidQuest on the 24th January 2018 at, 08:30am – 12:30pm. The workshop will focus on how stakeholders can combine the latest advancements in Social Media /Social Networking and Strategic Competitive Intelligence in order to uncover opportunities and threats for their companies and brands. Workshop participants will also be provided with a short step-by-step guide on how to integrate SM / SN, and leverage collected data in their competitive intelligence efforts.